TAOISEACH Leo Varadkar has expressed his condolences following the death of former Minister for Finance, Richie Ryan (90). Mr Ryan was a former Fine Gael TD and Member of the European Parliament. Mr Ryan was a TD in several constituencies in Dublin for almost 25 years, followed by 14 years in the European Parliament. He also served as the Fine Gael spokesperson on Health and Social Welfare from 1966 to 1970, and on Foreign Affairs and Northern Ireland from 1970 to 1973. In 1973, he became Minister for Finance in the coalition government led by Liam Cosgrave for five years. In a statement this afternoon, Mr Varadkar said his "distinguished and selfless" legacy will live on. "During the 1970s oil crisis and the years that followed, Richie proved himself a capable and steady pair of hands during a turbulent economic time. “Having represented Ireland at European level, he went on to top the polls during the first direct elections to the European Parliament in 1979 and again in 1984. “He served as a member of the Court of Auditors from 1986 to 1994 and following retirement he continued in a number of public service roles. 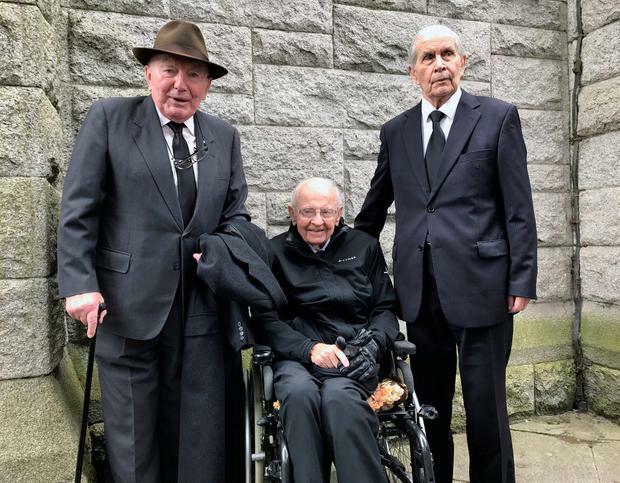 “Though not having had the privilege to serve alongside Richie, the legacy of distinguished and selfless service he gave Fine Gael, his constituents and the country remains a benchmark for those of us in public service today.